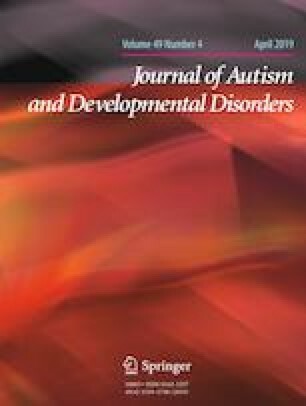 The presence of attention deficit/hyperactivity disorder (ADHD) symptoms in children with autism spectrum disorder (ASD) is associated with worse cognitive control. Children with ASD and ADHD often respond poorly to medications, thus we need alternative treatments. We examined the feasibility, acceptability, and preliminary efficacy of Project Evo—a digital treatment. Nineteen children with ASD and co-occurring ADHD symptoms completed this app-based treatment that targets multi-tasking through gameplay versus a comparison educational treatment. Children had a high engagement with both treatments, and parents and children reported high acceptability. Within-group analyses suggest the multi-tasking but not the educational treatment may improve cognitive control. This multi-tasking treatment is feasible, acceptable, and possibly efficacious for cognitive control impairments in children with ASD and ADHD. We would like to thank the youth and family members who gave their time and energy to participate in this study. The study was sponsored by Akili Interactive Labs (Akili). As part of the sponsored clinical study conducted with Children’s Hospital of Philadelphia. Akili provided financial support in the form of salaries that was used for partial salary support for the first two authors (B.E.Y. and J.R.B.). All other authors (L.K., G.D., E.J.M., R.T.S., and L.S.) were advisors to Akili, and participated in the study design along with data interpretation, decision to publish, and preparation of the manuscript. R.T.S. holds stock options for consulting work to Akili Interactive Labs Inc., and is a member of the Scientific Advisory Board for Akili. G.D. is on the Scientific Advisory Boards of Janssen Research and Development, Akili Interactive Labs, Inc., LabCorp, and Roche Pharmaceutical Company, has received grant funding from Janssen Research and Development, L.L.C. and PerkinElmer, speaker fees from ViaCord, and receives royalties from Guilford Press and Oxford University Press. No additional salary support was provided for preparation of this manuscript. Akili participated in the study design, but did not participate in the data analysis, manuscript preparation, or decision to publish. This study was sponsored by Akili Interactive Labs (Akili). Authors GD and RTS served as consultants to Akili Interactive Labs in the design of the study reported on here. Author RTS holds stock options for consulting work to Akili Interactive Labs Inc. Author GD is on the Scientific Advisory Boards of Janssen Research and Development, Akili Interactive Labs, Inc., LabCorp, and Roche Pharmaceutical Company, has received grant funding from Janssen Research and Development, L.L.C. and PerkinElmer, speaker fees from ViaCord, and receives royalties from Guilford Press and Oxford University Press. Author BEY and JRB received partial salary support from Akili to carry out the study reported on here. Akili participated in the design of the study, but did not participate in the data analysis and interpretation, manuscript preparation, or decision to publish. All procedures performed in this study with human participants were in accordance with the ethical standards of the institutional research board committee and with the 1964 Helsinki declaration and its later amendments or comparable ethical standards. This included obtaining informed parental consent and child assent for all participants.